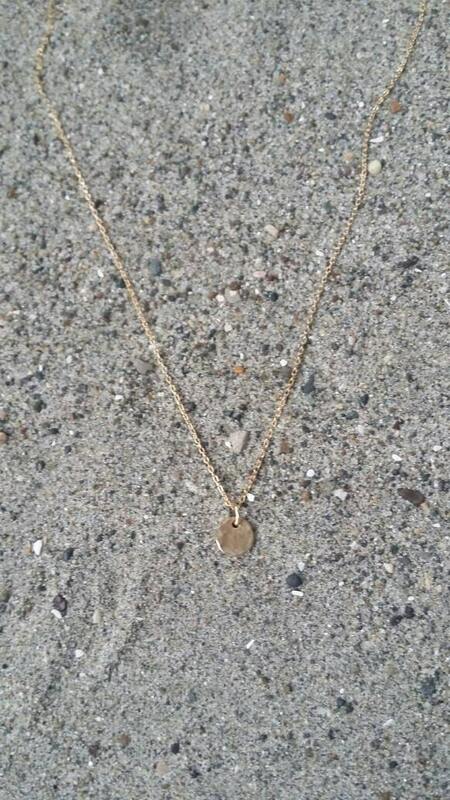 This teenie tiny gold necklace is perfect for layering! 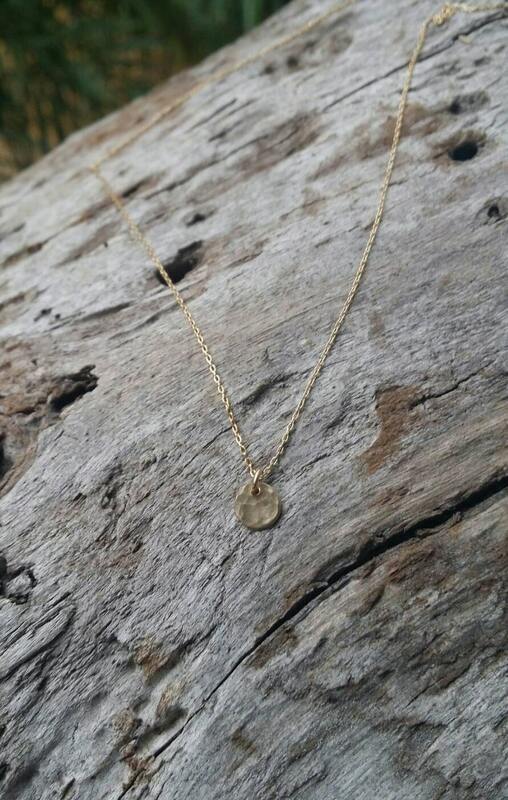 The 6mm gold fill charm is hammered to give a fun effect, and shown here hanging from a 16 inch gold fill chain layered with our double layer gemstone necklace. 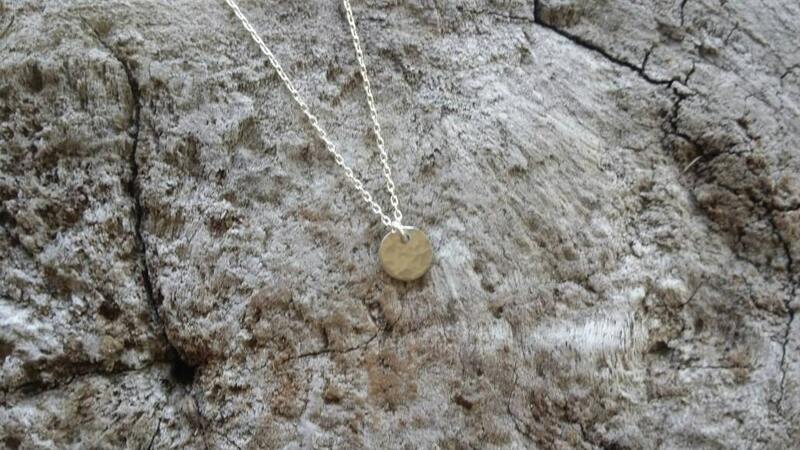 It is also available in sterling silver as seen in the last photo. 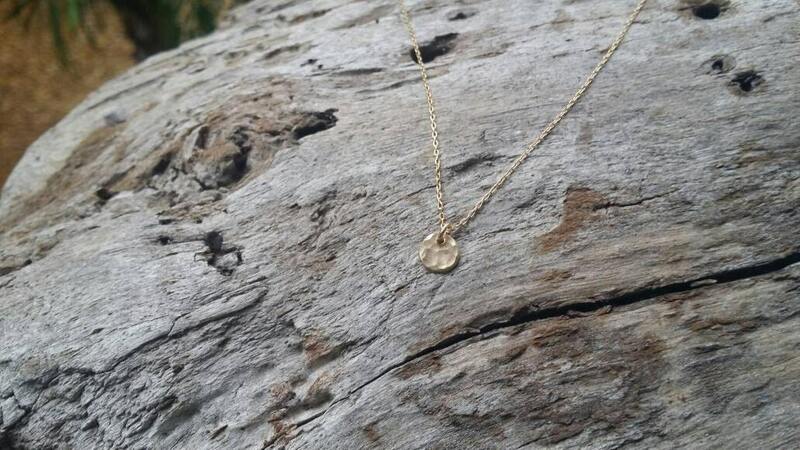 Love it, really dainty just as expected!